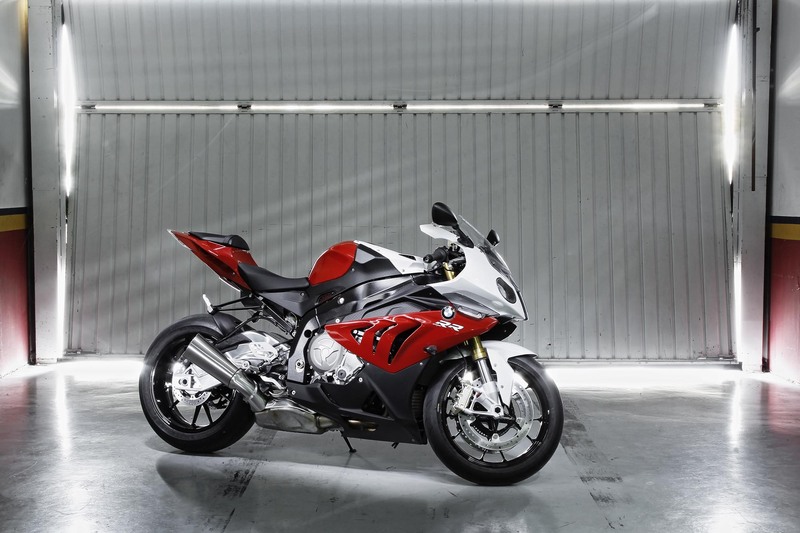 After tweaking the BMW S1000RR for the 2012 model year, it is likely that the liter-bike King will remain relatively unchanged for another year. Though according to SoyMotero, BMW is set to milk the current iteration for bit more value with a more premium model. Teasing out the 2013 BMW S1000RR HP4, zie Germans have finally gotten around to doing some “High Performance” treatment to their only true sport bike. Leaving things relatively unchanged underneath the fairings, the Bavarians have some big changes for the BMW S1000RR HP4, part of which is 20 lbs in less mass. The big weight savings seem to come from the exhaust system and the addition of forged aluminum wheels. Other changes include revised bodywork, a solo seat, launch control, updated traction control, and wait for it…BMW’s Dynamic Damping Control (DDC), which as far as we know is the first application of computer-controlled active electronic suspension in the motorcycle market. 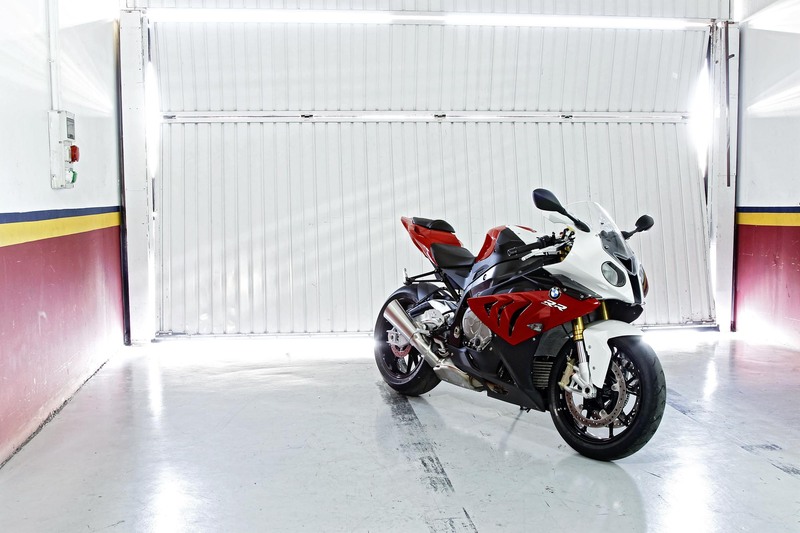 No prices yet, though we would expect a hefty price tag to be announced when the BMW S1000RR HP4 officially breaks cover later this year during the Intermot or EICMA shows. If you’re saying to yourself that this news seems almost too good to be true, then we share the same sentiment. Thinking that maybe this is a piece of over-zealous journalism, there was something about the photo for the HP4 that seemed familiar…namely, it’s shot in front of the same backdrop as the press photos for the 2012 BMW S1000RR launch, and in fact it looks almost identical to one of the 3/4 photos of the red/white S1000RR. Surely, it’s a photoshop then, right? Taking a closer look at the marks on the wall though, it’s clear that the two photos were shot in front of different garage doors (though both doors have seen their fair share of abuse). What’s more interesting is that the photos from 2012 show a second garage was used, one with the exact same markings on the wall. Those shots featured the bike in a fairly different position, not to mention the fact that there are enough different details on the HP4 photo from the ones taken last year. 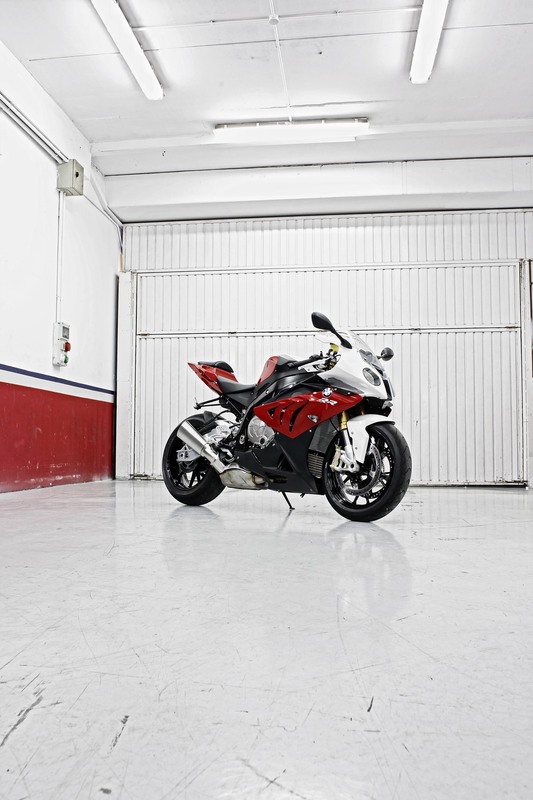 Our conclusion, whoever took this photo had access to the same garage as the original 2012 BMW S1000RR shoot, which only lends more credence to its authenticity. It would be great to see the DDC system come to the BMW S1000RR, but it looks like we’ll have to wait until October/November to be sure.